The city of Philadelphia, SEPTA, and the Philadelphia Parking Authority announced a joint effort Thursday to address traffic congestion in Center City. Did the initiative include new rules or proposed legislation? It did not. The news release actually went out of its way to make that clear in the third paragraph. “We don’t need any new legislation, we are just enforcing laws already on the books," Mayor Jim Kenney said in a statement. So then, what was being announced on Thursday? 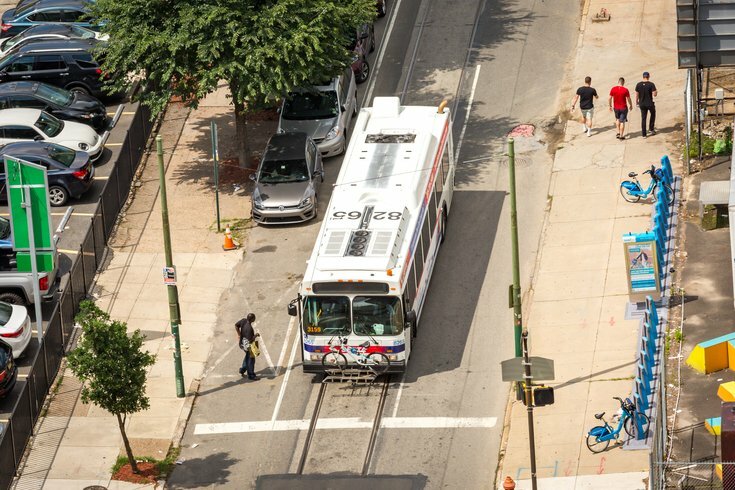 According to the release, the PPA will place a "special emphasis" on no-stopping and standing violations within vital bus lanes, plus other offenses that add to congestion. The initial focus of this special emphasis (on rules that already exist), according to the release, will be bus, bike, and right-turn only lanes on Market and Chestnut streets, specifically between 10th and 22nd streets on Chestnut, and between 7th and 13th streets on Market. The only acceptable use of these lanes is making a right turn. Stopping, standing, loading, or traveling through the intersection in these right-turn only lanes is (already) prohibited. The special emphasis (read: enforcement) will commence Monday, city officials said. Incredibly, that was the gist of the entire announcement.